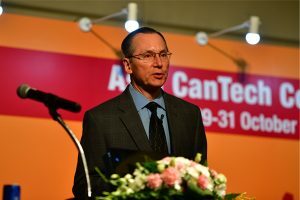 The chairman of the German Green Party was recently shown the latest can making innovations and technologies during a tour of Ball Packaging Europe’s Hassloch plant. Cem Özdemir was shown the German plant’s digital printing line for beverage cans which features a globally unique technology brought to market by Ball Packaging after extensive research and development. Özdemir was also informed about production techniques that set the gold standard in terms of sustainability for all plants across Europe. “A company can only invest in environmental and social responsibility if it is financially healthy and has growth prospects. 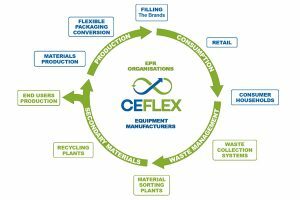 We understand sustainability as a realistic balance between cost-efficiency and working to a long-term horizon. It is in our own interest to think and act in an economically, socially and environmentally responsible way,” says Wolfgang Hinkel, CEO of Ball Packaging Europe. Ball Packaging works constantly to upgrade and improve manufacturing processes in a group-wide sustainability program. In the past three years alone, Ball has invested over three million Euros in environment-related measures in Germany. 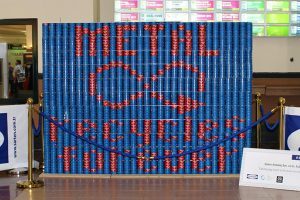 The rewards for this effort include a 32% cut in energy consumption per 1,000 cans produced in Germany from 2005 to 2010. Such successes are the product of many incremental changes – from fitting low-energy bulbs and low-pressure compressors to introducing a group-wide energy information system. The Hassloch plant has seen over €700,000 in environmental investment by Ball from 2008 to 2010. This has led to improvements such as a 16% drop since 2007 in energy consumption per 1,000 manufactured beverage cans. One example is the modernisation of the pressurised air system in Hassloch, which saves 22% of the energy used by its predecessor. Ball also cut water consumption per 1,000 beverage cans produced in Germany by seven per cent between 2004 and 2010. Ball has also improved the environmental credentials of products as well. Beverage cans have been made up to 25% lighter since 1995, for example, with a correspondingly smaller amount of material needed to make each can. “Take that in conjunction with the 95% recycling rate in Germany today, and the ecological footprint of beverage cans has shrunk considerably,” says Stephan Rösgen, vice president regulatory affairs at Ball Packaging Europe.